Former SAS. Injured in combat. Redeployed with the Australian Secret Intelligence Service. Nathan is issued with a new mission. A trained killer must learn to forget everything he has come to know as a well beaten path. He must become both father and protector to an orphaned ten-year-old girl. The Asset. Angel. A girl with a special gift and a destiny, who will change the course of history and human-kind. Nathan must oversee Angel’s upbringing. He must see to it that Angel is groomed and prepared for her induction into ASIS as an adult. At the same time, he must maintain the security of the disk. The stolen intelligence leading to MILESTONE. 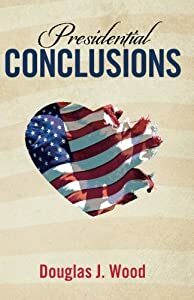 A political thriller, this is the third book of the trilogy of the personal and political life of a fictional character, Samantha Harrison. In this book, she is President of the United States and must deal with serious issues of terrorism, the Middle East, and the Ukraine. 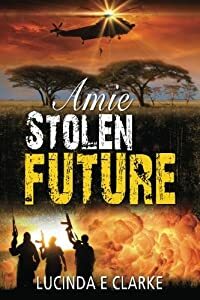 In this the third book in the series, Amie’s enemies have not forgotten her and they are determined to take their revenge, but the people who are prepared to save her do not have her best interests at heart. She is forced into a corner with no other option but to obey or die. She has lost everything, her possessions, her home, her family and even her name. She has never been more helpless or more alone, yet she is determined to survive. From William Hunter comes the electrifying debut spy thriller that has been hailed as "extraordinary," and "a veritable tour de force." 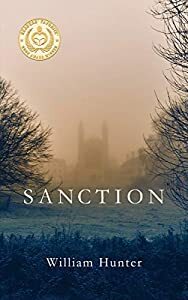 While in England on an unsanctioned assignment, Sean Garrett witnesses the shooting of a distinguished Cambridge professor by elite contract killer David Laurent. 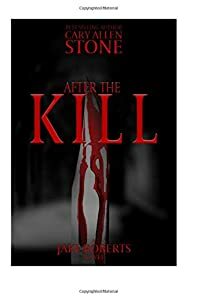 With his cover blown, Garrett is on the run from an assassin desperate to erase his tracks, and authorities who believe he is responsible for the murder. 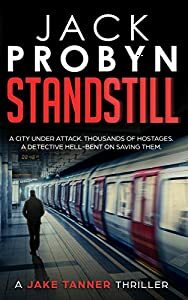 Banastre Montjoy, a burned-out head of section at the Secret Intelligence Service, is in a race himself to discover if the scholar's death is linked to a bombing of the London Underground a year earlier. Montjoy's nemesis, the power-hungry and scheming Berwyn Rees, seeks to drum his rival out of MI6, while maneuvering to become deputy chief. With time running out, SOG operators are sent in by the CIA to locate and extract Garrett. As Laurent, MI5, and Scotland Yard close in on their target, Montjoy uncovers a devastating secret, one that someone inside the British government has sought to keep buried since World War II. In this riveting technothriller, investigative blogger Matt Tremain is covering devastating riots in Toronto when he learns of a plot to rid the city of “undesirables.” The operation is called CleanSweep, and appears to be led by billionaire Charles Claussen, who wants to sweep Toronto clean of all street people and any citizens who don’t match his restrictive screening matrix. 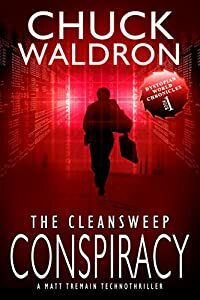 Matt questions whether he has the courage, skill or influence to take on Claussen, but the murder of one of his sources convinces the blogger to put his life on the line. He gambles on the loyalty of a Toronto police detective and a local TV reporter for help. If his trust is misplaced, Matt will become yet another victim of CleanSweep, and the truth will be buried with him forever. 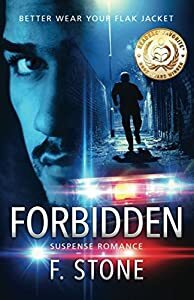 Readers' Favorite is proud to announce that "Forbidden" by F. Stone won the Gold Medal in the Fiction - Thriller - Terrorist category. The vile act of terrorism is covered-up. Sharif becomes the reluctant keeper of his city's bloody secret - and the witness, MacKay. His corrupt superiors have a gun rammed against his skull. Disloyalty to the mayor will be rewarded with being buried alive. Whatever the cost, his government's honor must be restored. Secretly, Sharif hunts forensic evidence. Who is responsible for the murder of fifteen American volunteers? And, why did MacKay lie about her identity? He can't trust her. Her mental illness is going to get both of them killed. When he receives orders to dispose of MacKay, his Muslim faith is tested. Murder an innocent in cold blood? He will suffer Allah's eternal wrath. CIA Agent Hutchinson has the lying Sharif in his cross hairs. Sharif dodges the agent's traps almost as easily as the hitman on his tail. When Sharif discovers the shocking truth, he loses all hope of survival. What is worth dying for? Perhaps it's not bringing a madman to justice. Could it be saving the life of a woman who kick-started his numb heart? On the knife edge of risk, Sharif plots an act most forbidden and fatal. thrilling investigation the team discovers a magnificent civilization and amazing technologies that existed thousands of years earlier in California. The secrets of this lost civilization may hold answers for the current survival of America as we know it. 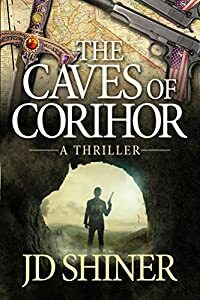 The Caves of Corihor is a compulsive, page-turning debut novel by a guy that knows his subject matter. It’s action packed, and loaded with fascinating characters that are fun to follow. A gunman enters Sky Harbor Airport in Phoenix. His van, parked next to the terminal, has enough explosives in it to bring down the entire building. As Jake Roberts watches Caitland’s flight depart, desperate alerts are made to evacuate the airport. Jake runs to assist the airport police. He learns his best friend, an airline pilot, has been shot twice. Will he be able to rescue him? Forensic psychologist Mackenzy specializes in serial killers. On a research grant, she works with those confined in Broadmoor Hospital in England. She has a surprise for the most dangerous one. When she returns to San Francisco, will she apply what she learned? In Malibu, Caitland hosts a party for her A-list clients. After the party, Caitland is alone in the house, except for an intruder waiting in the dark. The Malibu police call Jake about an incident at his home. He’s told the “West Koast Killer” murdered Caitland and is stalking him. Jake enlists the help of a gang leader he knows to help him turn the tables on the killer. They capture Caitland’s killer and drive far into the desert late at night. Will Jake pull the trigger? In 1941 the precursor to the OSS and the CIA combined with British SAS to produce an elite fighting force whose mission it was to carry out subversive activities against the fascist regimes of Europe, actions that continue to resonate in the world today. These activities play a very important role in Piercing the Veil. 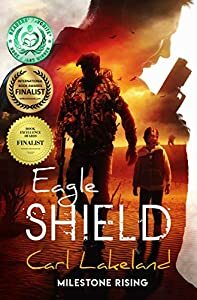 A warrior with the intellectual agility of a Delphic oracle, Lieutenant Commander Grant Chisolm leads his exceptionally highly-trained, well-equipped team of SEALs into the heart of darkness. His highly secretive mission is to rescue hostages taken by the charismatic and cunning leader of a major insurgency in sub-Saharan Africa. He is forced to confront the irrationality of malevolent genius, bureaucratic quackery posing as government, and the link between a man's past indiscretions and present death and destruction. 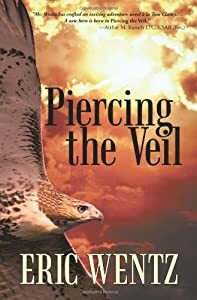 As he becomes more deeply involved in this extremely dangerous mission, he discovers that his own life is a mirror of ancestral ambitions that reveal themselves through an unexpected discovery for which nothing could have fully prepared him. The historical implications of his discoveries are truly breathtaking. His warrior quest is the stuff of legend and the crucible is bequeathed by mythical figures only to those who are worthy. Chisolm learns firsthand that not only the sins, but also the blessings, of his family must be borne to discover the true purpose of his life.